The Robberg Nature Reserve is situated about 8 kilometers south of Plettenberg Bay along the famous Garden Route. The nature reserve and national monument covers the area on the same-named Robberg peninsula. This peninsula is characterized by a beautiful landscape and unique flora and fauna. You can explore and admire its territory on a day-hike. The vegetation (fynbos) has adapted to the climatic conditions. Salt spray, shallow soils and steep, arid terrain determines the landscape, and thus, life in the Robberg Nature Reserve. Blue duikers (Philantomba monticola) , several coastal birds like the White-chinned petrel (Procellaria aequinoctialis), the Sooty shearwater (Puffinus griseus) or the kelp gull (Larus dominicanus) found a safe haven in the Robberg Nature Reserve. As the Robberg Nature Reserve is a nature reserve, but also a national monument, it is not allowed to leave rubbish, to visit the area with pets or follow any other activity that could negatively impact and destroy the environment of the peninsula. This is important both for the environment and of course for all the animals that live in the nature reserve. It is also possible to observe sharks, whales (depending on the season) or dolphins from the Robberg Nature Reserve. However, you need some binoculars for good animal observations. During my time in South Africa I observed some sharks from the Robberg Nature Reserve. No dolphins, but some humpback whales. The humpback whales were so active. They jumped out of the water to splash onto the water surface again (“breaching”). Unfortunately the focal length of my lenses was not sufficient to get a good photograph. I still had a good time to observe humpback whales breaching. 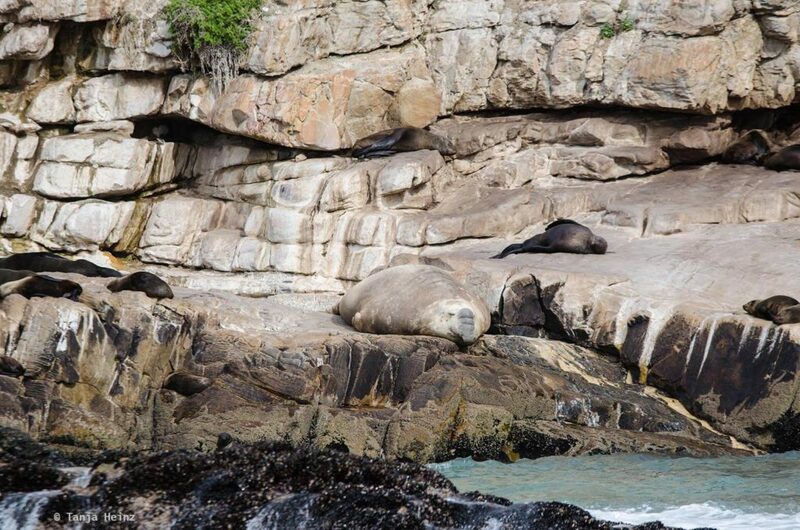 When you go hiking on the Robberg Nature Reserve you will definitely hear some seals barking. Yes. That is right. 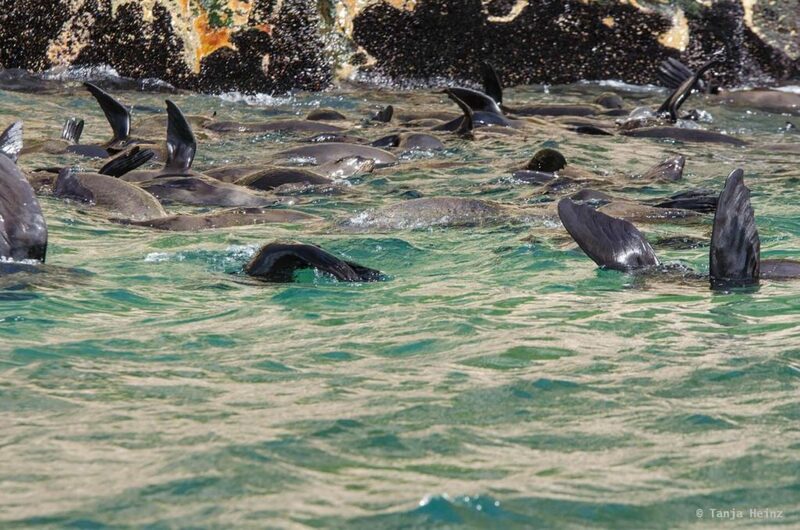 There is a seal colony in the Robberg Nature Reserve. And this article is about these seals. However, I have to disappoint you a little bit. 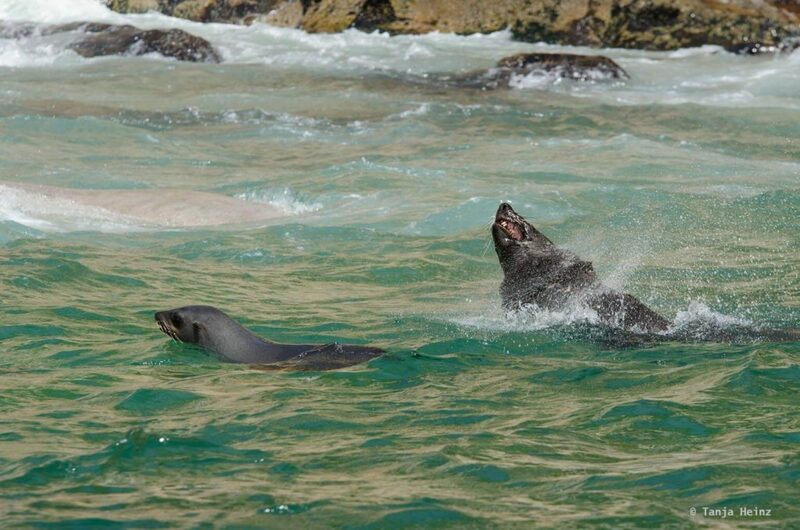 It is not possible to visit directly the seal colony in the Robberg Nature Reserve. 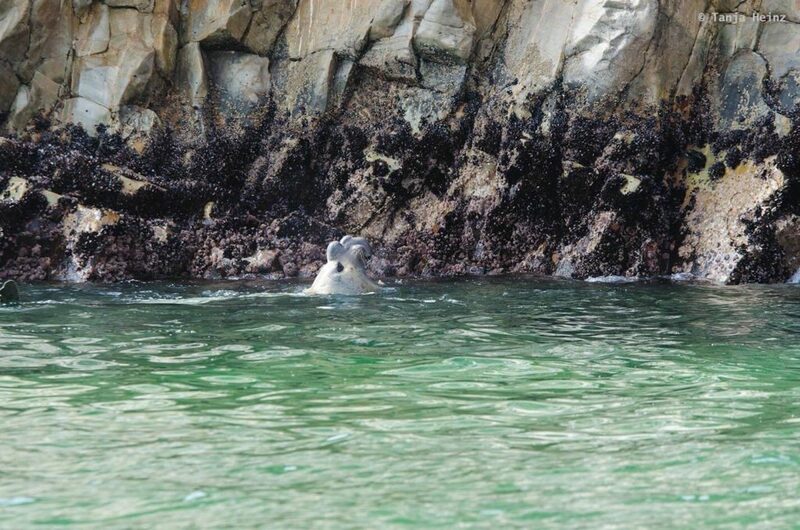 You need to book a tour on a boat to get a view of the seals. And on a boat you will get a really good view of them. There is a big advantage when observing seals. When you want to observe whales or dolphins, you never know if they appear or not. The chance to sea seals from a boat is 100%. However, it also depends on the skipper of a whale and dolphin watching boat. In general they will pass the seal colony on every tour. At least at Ocean Blue Adventures. On a “bad” day – that means a day with no whale or dolphin sightings – tour operators like Ocean Blue Adventures pause a little bit longer at the seal colony to ensure as many animal observations as possible for the visitors. 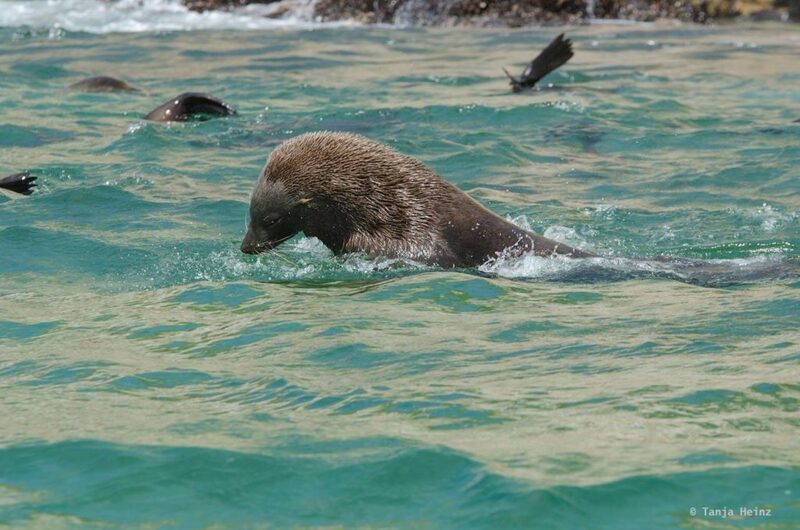 There is another tour operator in Plettenberg Bay that offers swimming with seals. As I did not participate in this activity I can not share any experience of it. 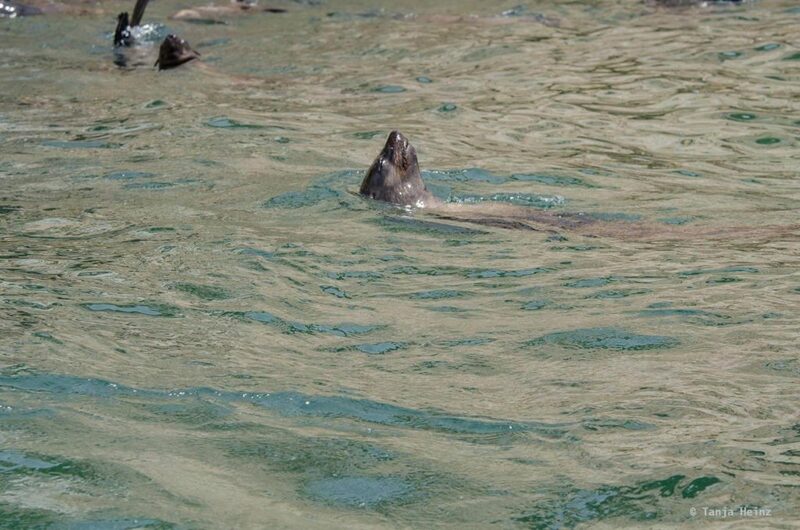 …and thirdly, for me it was just perfect to observe the seals from the boat. 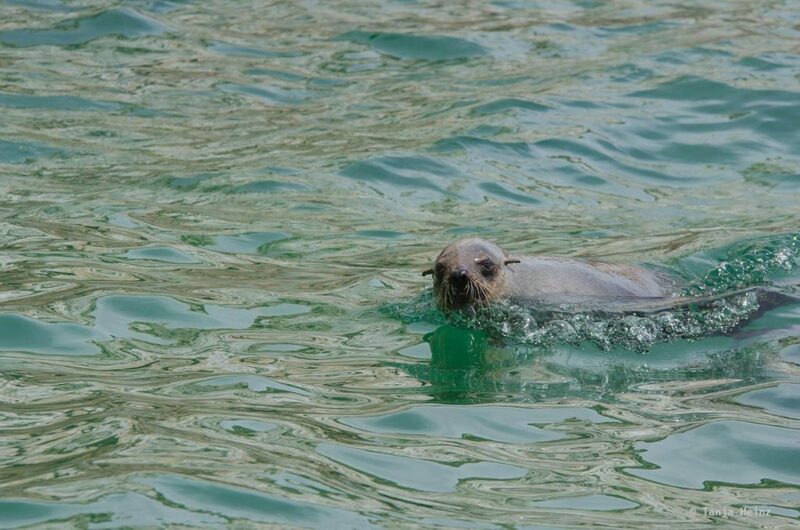 Which seal species live in the Robberg Nature Reserve? 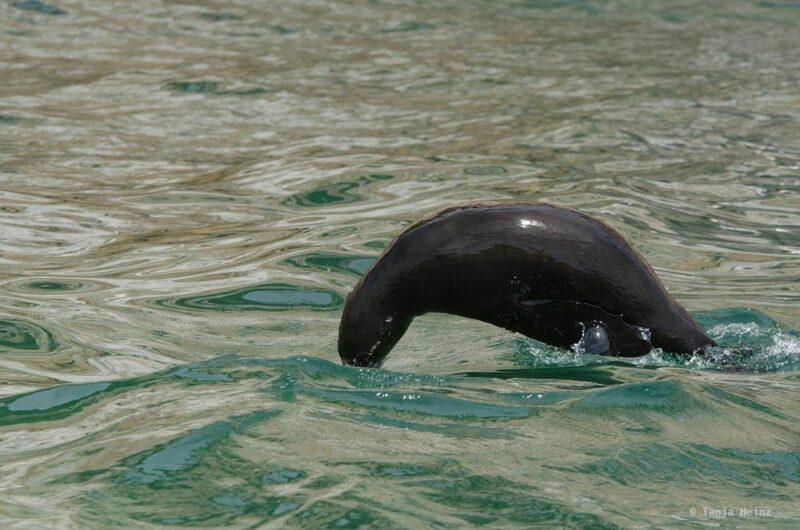 To be more precisely, in the Robberg Nature Reserve lives the Cape fur seal, also known as the brown fur seal or South African fur seal (Arctocephalus pusillus pusillus). 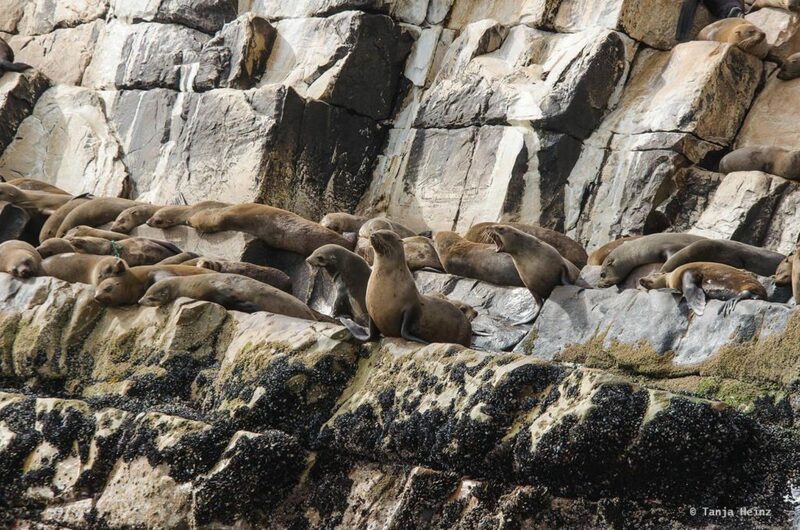 The Cape fur seal at the Robberg Nature Reserve is a subspecies of Arctocephalus pusillus that lives in colonies along the South African and Namibian coast. 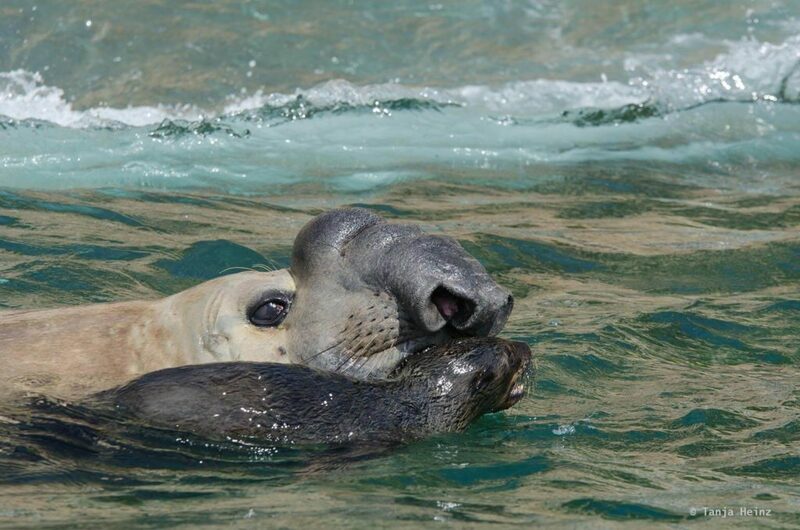 The name South African fur seal is actually a little bit confusing as this seal species lives as well in Australia. Know as the subspecies Arctocephalus pusillus doriferus. However, do not confuse them with New Zealand fur seal (also known as New Zealand or South Australian fur seals, Arctocephalus forsteri). 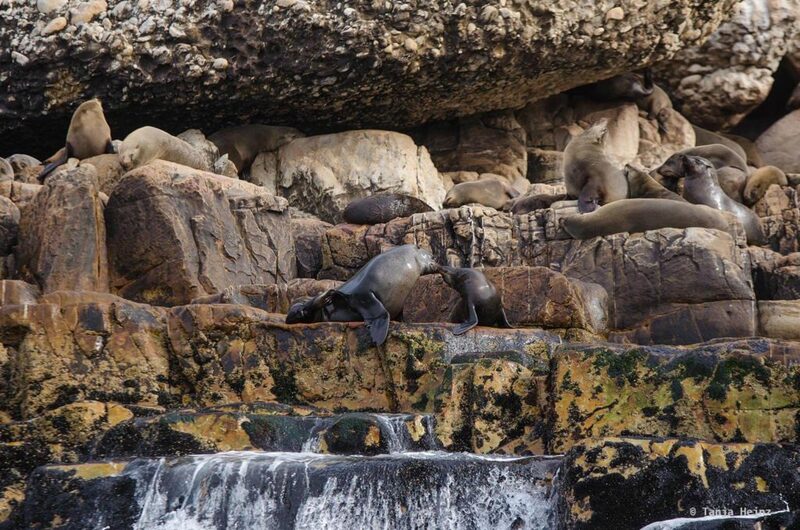 I observed these fur seals in Australia in the Flinders Chase National Park. However, I will not continue with the taxonomy of Cape fur seals. These fur seals are eared seals that include as well sea lions. Eared seals (Otariidae), walruses (Odobenidae), and true seals (Phocidae) belong to the pinnipeds (Pinnipedia). This is not a negligible point that Cape fur seals belong to the eared seals. Eared seals have tiny external ears that distinguish them from true seals. Furthermore, they have much larger foreflippers, and thus, are able to move more easily on land. True seals do not have these strong foreflippers. They are more adapted to a life in the water. Thus, seals in the Robberg Nature Reserve are eared seals that can move more easily on land than other seals. 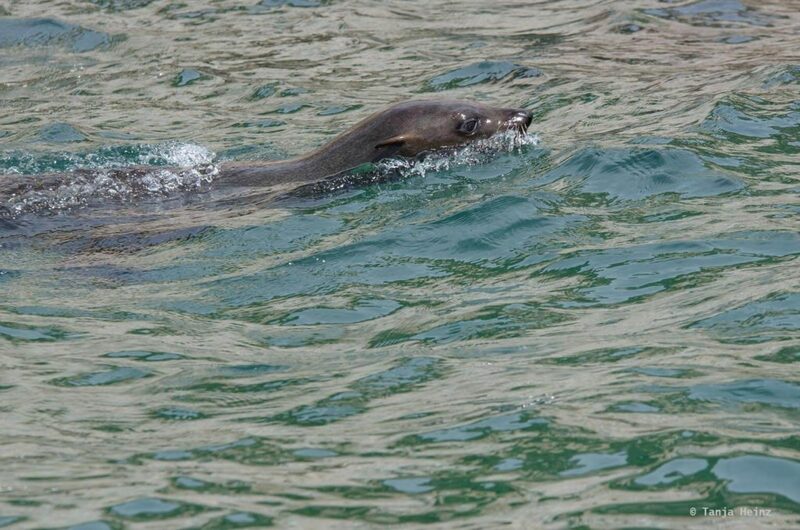 Everytime it was a pleasure to observe the Cape fur seal when I was on the whale watching boat. … others were swimming in the water. Maybe they are not as adapted to the water as true seals. However, this fact does not prevent them to jump and seemingly enjoy the water. Other seals were just relaxing in the water. … others just didn’t care about us. It was not always easy to take photographs of the seals at the Robberg Nature Reserve. Firstly, the animals were moving so quickly, and secondly, the boat was wiggling as usual. Therefore, you also need some luck when taking pictures of fur seals. 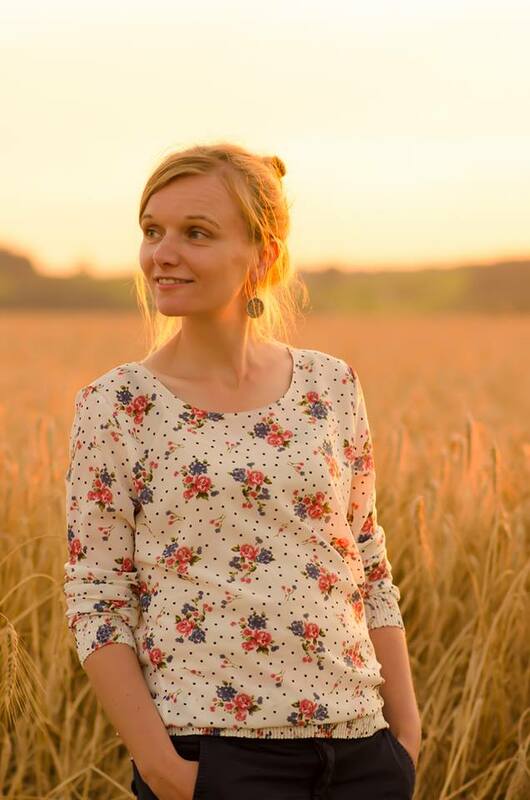 I was lucky to get one photograph of a mother when she was feeding her offspring. However, there was one unusual thing at the Robberg Nature Reserve. 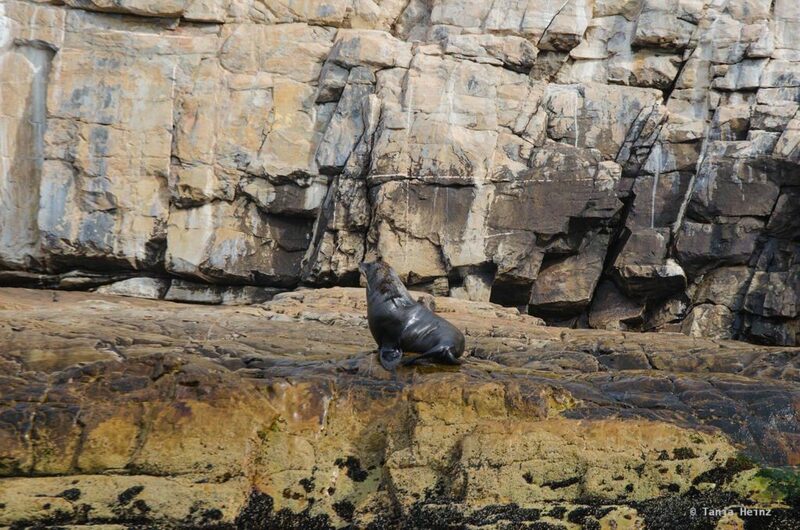 There is a lonely, vagrant Southern elephant seal (Mirounga leonine) roaming around the Cape fur seal colony. In contrast to the Cape fur seal, this elephant seal belongs to the true seals. Although it is more difficult for him to move on land, sometimes he relaxed on the rocks of the Robberg Nature Reserve. However, I observed him more often in the water or on rocks closer to the water. The Southern elephant seal actually lives in colonies on islands in the Antarctic. Normally this species is not resident to South Africa. At least there are no Southern elephant seal colonies in South Africa. When there is a Southern elephant seal in South Africa, usually they are solitary. Males of the Southern elephant seals are one of the biggest seals. Most of the time, when I was on a whale watching boat, the Cape fur seals did not care much about the elephant seal. Only sometimes it appeared to me that some Cape fur seals did not venture to jump into the water (because of the elephant seal?) although some of their conspecifics were swimming around. Were they afraid of him? 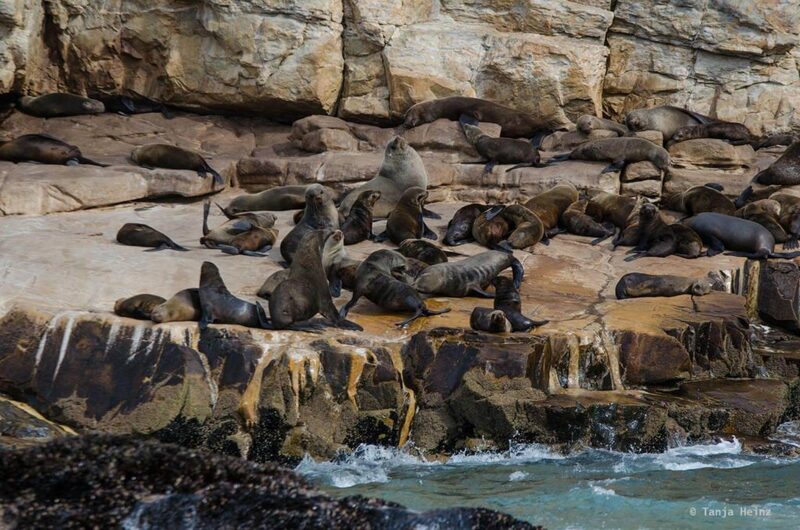 In the Robberg Nature Reserve live about 6000 Cape fur seals. 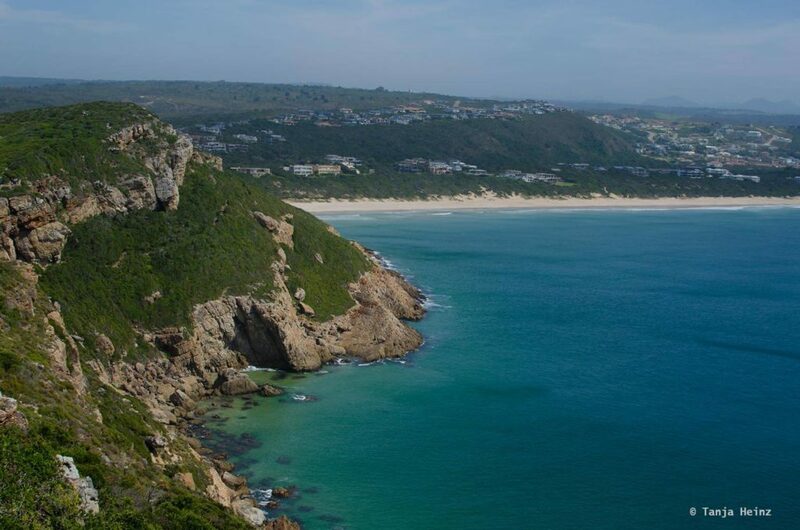 If you want to explore the Robberg Nature Reserve it is best to do that on a day hike. 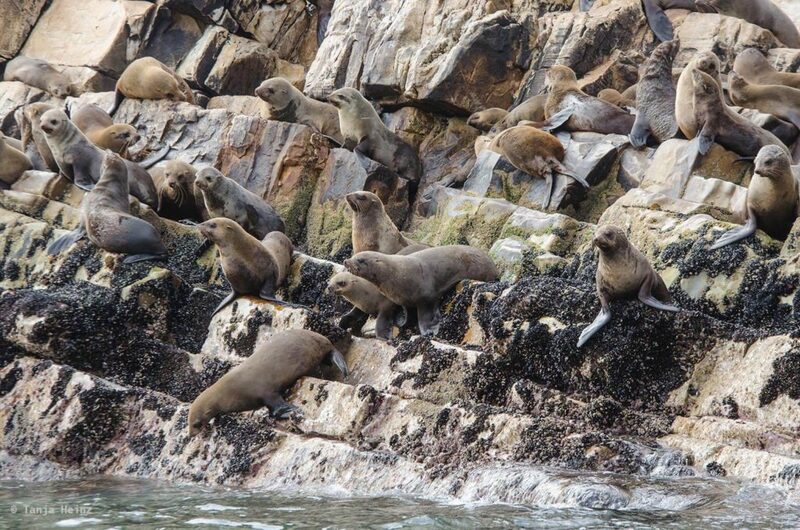 However, if you want to observe the Cape fur seal colony I recommend doing that on a boat. 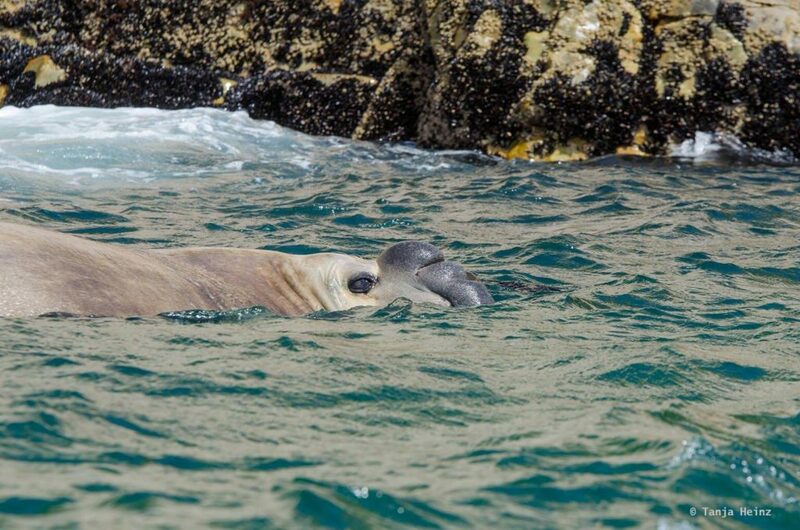 On a boat you can both observe the seals and admire the beauty of the Robberg Nature Reserve from a different angle.